Gone to See American 2008 Road Trip. Driving from Grand Staircase – Escalante National Monument to Bryce National Park. Double Rainbow in Utah. 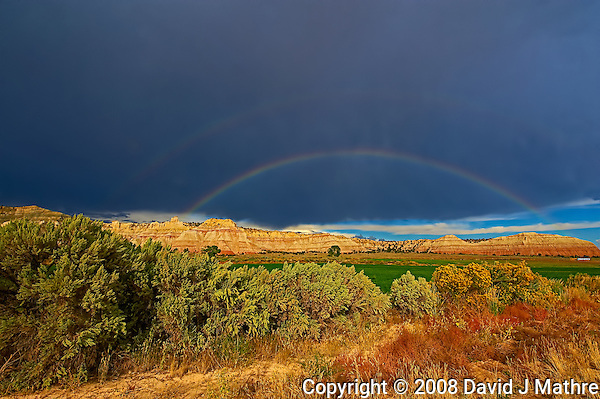 While driving between Grand Staircase – Escalante National Monument and Bryce National Park on Utah Highway 12 I saw a rainbow in my rear view mirror. I quickly pulled over just outside of Cannonville Utah and started taking some images. Before the rainbow was gone, many other cars pulled over to admire the view.